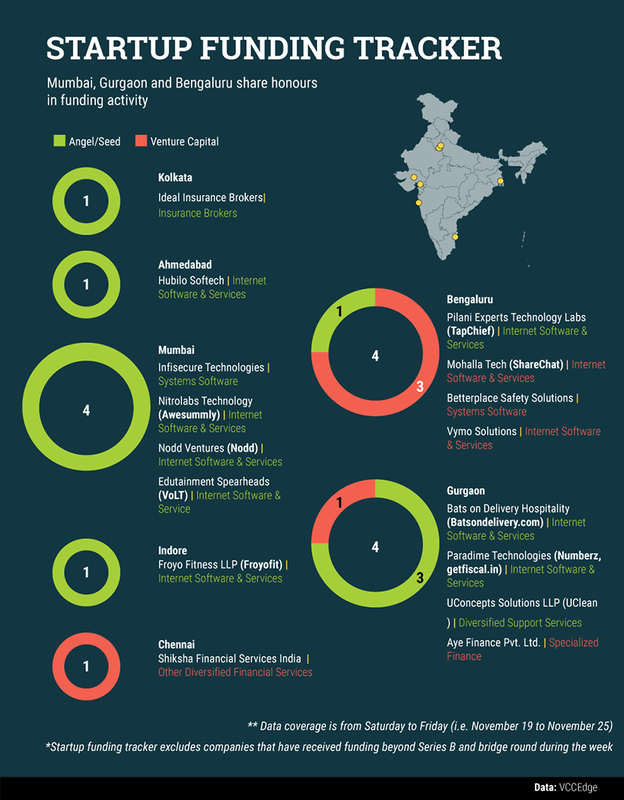 In the week gone by, 16 startups raised funding with 12 of them being based out of Mumbai, Bengaluru and Gurgaon. The biggest deal of the week saw Gurgaon-based non-banking financial company Aye Finance receive $10.26 million in a Series B round of funding from LGT Impact Ventures, SAIF Partners and Accion. In other major deals, two Bengaluru-based companies received venture funding. While enterprise sales assistant Vymo Solutions raised $5 million in a Series A round of funding from Sequoia Capital India, regional language social networking app ShareChat received $4 million in a Series A round of funding led by Lightspeed Venture Partners.